Ogun Senator elect who has been facing challenges with NDLEA men, Buruji Kashamu has withdrawn the N20.1 billion libel suit he instituted against former President Olusegun Obasanjo at an Abuja Federal court. The case was struck out following a notice of discontinuance of the suit filed by the plaintiff. 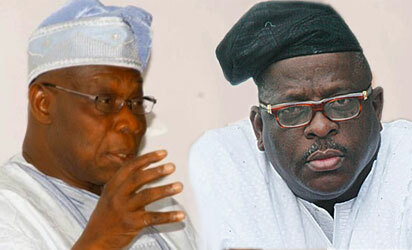 Kashamu is said to have withdrawn the suit due to an ongoing settlement talks between the two parties, but Chief Obasanjo’s lawyers have said they are not aware of any ongoing settlement. Long story cut short, Kashamu has withdrawn the lawsuit.